Barr is a full-blown conspiracy theorist just like Nunes and Trump. 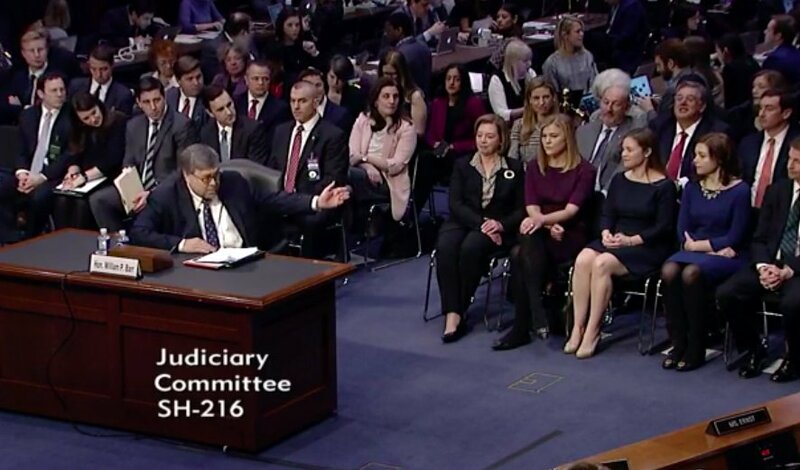 salon.com/2019/04/09/bil… Bill Barr’s strategy to evade questions and continue covering up for Trump: Play the part of a dull bureaucrat whose only interest is following the law. 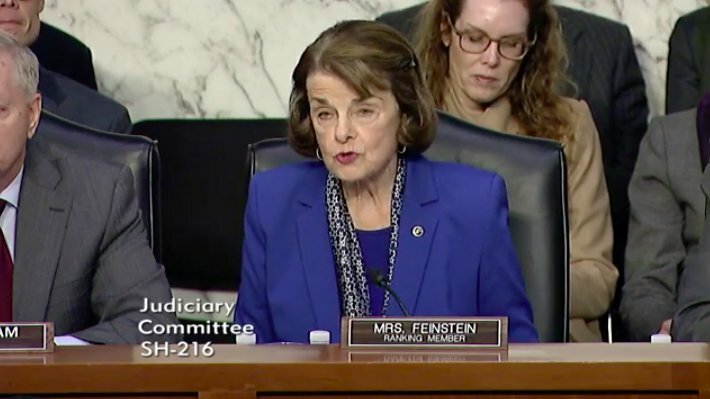 Luckily, Democrats were having none of it. Barr's rhetorical strategy was to say things that are complete honking nonsense, but to disguise it in legalese, so that most viewers who aren't well-versed with every detail of the Mueller investigation don't realize how dishonest he's being. It's concerning but not surprising. Anyone who didn't realize that Barr had already shared the Mueller Report with the White House or that Barr would do anything other than orchestrate this ridiculous #CoverUp for Trump, hasn't been paying attention. Barr won't release the full, unredacted Mueller report to Congress or petition the court to unseal grand jury info. He said if Nadler wants, he can petition the court, basically telling Nadler to sue him. As one does in a #CoverUp. 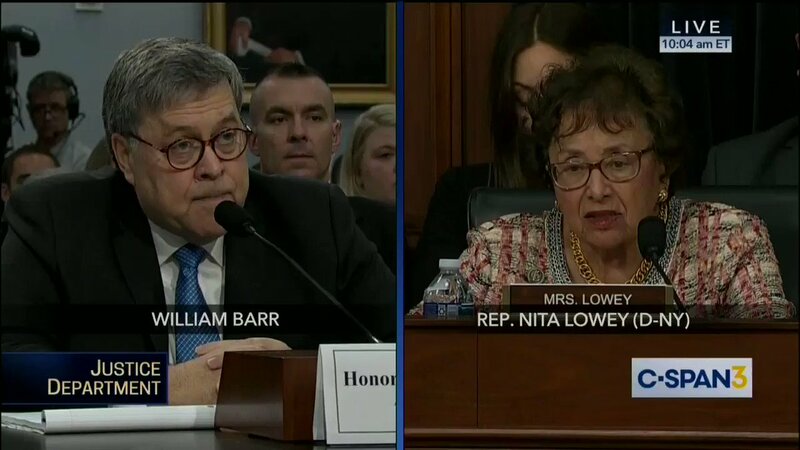 BARR refused, on multiple occasions, to say whether he has shared the Mueller Report with anyone in the White House, where Barr's son-in-law, Tyler McGaughey, has worked since Barr was sworn in as Trump's AG. NEW: Barr says redacted Mueller Report will be available "within a week" and redactions will be color-coded to correspond to the 4 categories he laid out in his Mar 29 letter but didn't answer why he didn't use the summaries submitted by the Mueller team in his "summary." 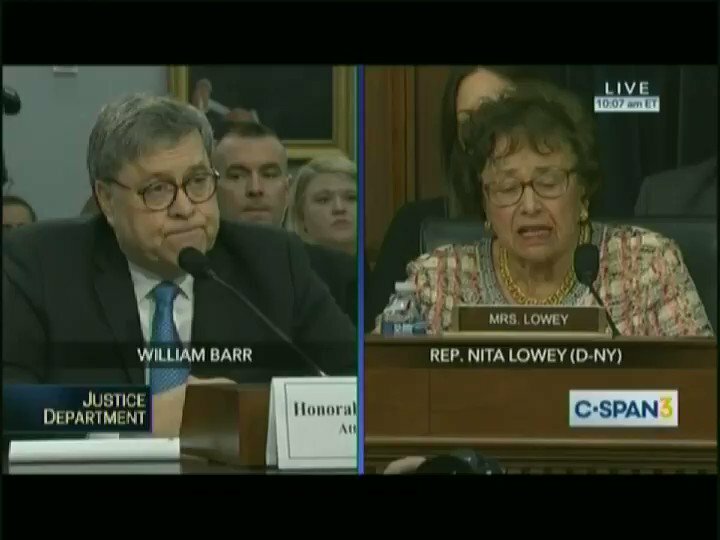 When asked by Chairwoman @NitaLowey if the White House has seen the Mueller report, BARR, in all his arrogance, says he's said everything he plans to say about the Mueller Report. "I've already issued 3 letters about it." 1. 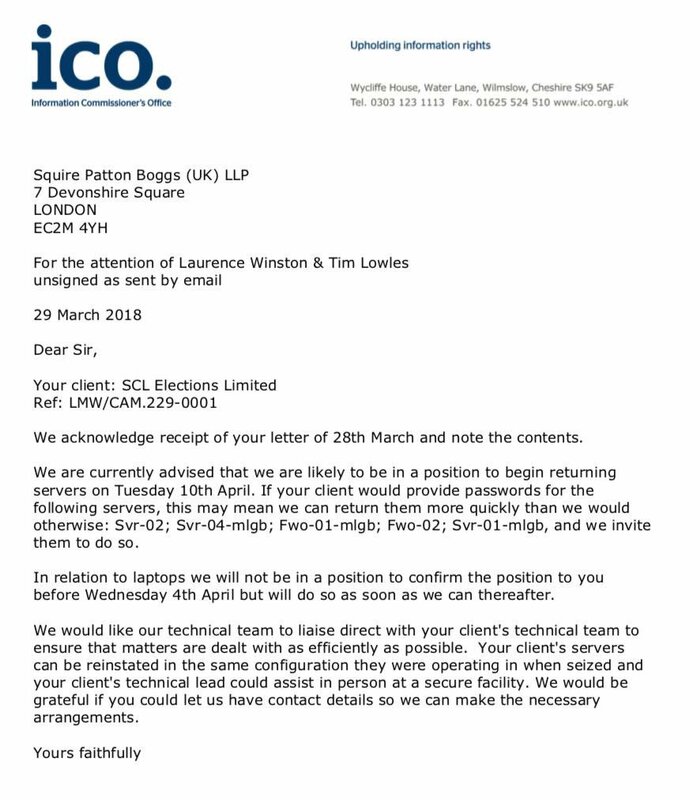 ICO informing me they convicted Cambridge Analytica for refusing to cooperate on disclosure orders. 2. 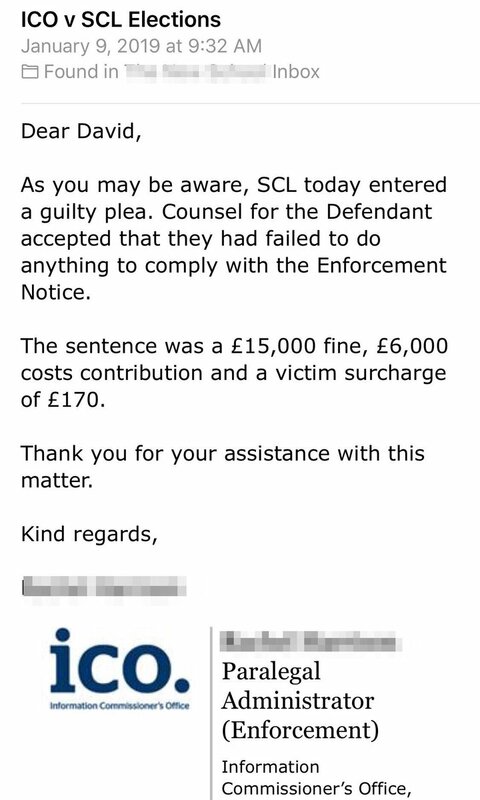 Discovery document obtained by court order (plus other evidence) indicates full cooperation is uncertain. We’re not sure if seized servers have been returned. If you want to know how utterly terrified the Deep State is of William Barr.....👇 article/thread. How do you rebuke someone that has been on the other side—has SEEN the crimes from the start? Won’t interfere with Mueller? Noted. Resignations don’t always indicate bad [optics]. Sometimes they make way for strategic plays. Next picture: LG 2.0 [upgrade] available? There was a reason LG brought up seemingly random question at the time, re: Military Tribunals during Justice K hearing. Once again House >> Senate.